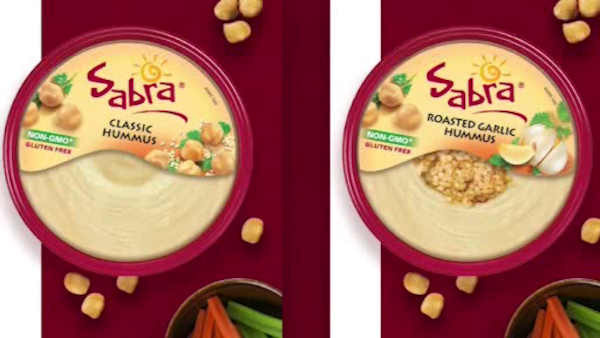 NEW YORK (WABC) -- Sabra Dipping Company has issued a voluntary recall of some of its hummus and spreads because of possible listeria contamination. The FDA says the affected products were manufactured before November 8th at a plant where listeria was found. Consumers are urged to discard any product with a 'best before' date through January 23, 2017 on the lid. Sabra's organic hummus, salsa, guacamole and Greek yogurt dips are not included in the recall. A full list of products recalled can be found on Sabra's website. Symptoms of listeriosis vary, but usually include fever, muscle aches, stiffness, abdominal pain and diarrhea.